It’s like having a personal trainer for your finances. 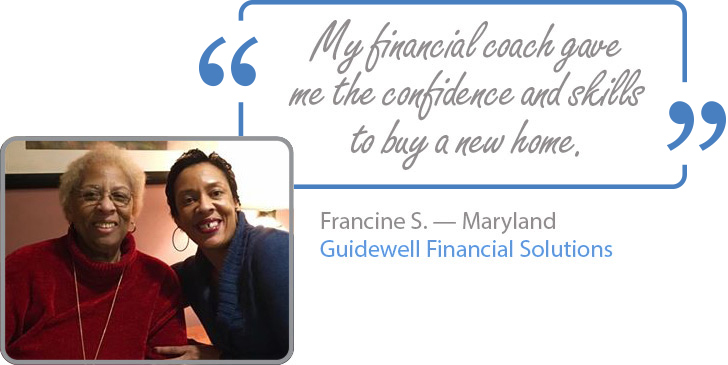 Financial fitness takes a plan and a coach who’ll help you put debt in its place. As your financial advocate, we make it easier and more convenient to help you regain control over your debt, no matter how much you owe. We don’t turn anyone away, and our NFCC® Certified Financial Counselors are ready to help you. Make an appointment for an in-person or by-phone financial review and counseling session with a nonprofit NFCC member agency now. Together, we can put your debt in its place…back in balance with your income. Debt is a national dilemma. NFCC Certified Financial Counselors are here to help. total clients served by NFCC member agencies in 2017. NFCC® Certified Financial Counselors at member agencies are ready to help. *NFCC Sharpen Your Financial Focus evaluation of counseling clients after six quarters. Number of people who took the first step to put debt in its place with an NFCC member agency. Total clients served from Q1 2016 – Q2 2018. Join our movement to help 5 million people like you improve their financial well-being by 2020. You've just taken the first step toward building a brighter financial future. A representative from this NFCC® member agency will contact you to schedule an appointment. Feel free to reach out directly to schedule your appointment now using the contact information above. You will receive a confirmation email that will also contain the member agency’s contact information. In the meantime, we invite you to learn more about our other programs and how they might help you as money-related issues and questions come up in your daily life.